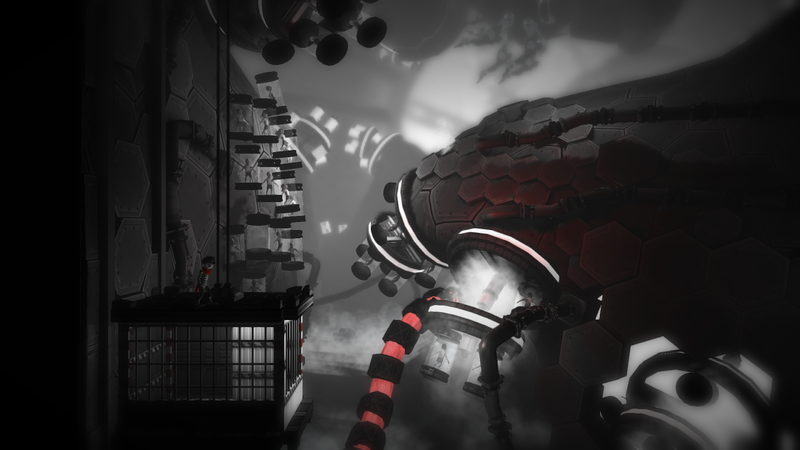 Monochroma is a puzzle platformer from Turkish developers Nowhere Studios. 9 months ago, the game was successfully crowd funded on Kickstarter, and now the results are revealed. Was it worth the $84,644 that the developers raised, or should they have held on to their money? The game is set in a bleak world, where two young boys must stand alone against a giant corporation who have a dark secret that they want to keep hidden. At least, this is what the Kickstarter page declares. There's no dialogue at any part in the game, so any plot is simply implied through what you see on the screen. While the game doesn't do a terrible job of explaining everything, it's quite easy to miss details if you're not paying full attention to what is going on in both the foreground and background. The focus of the game is on puzzles. As you progress through the world, you will come across a number of obstacles that you are required to navigate. These are all very well done, and there is great variety to keep you going right to the end without getting bored. It could be argued that the majority of the puzzles are a bit on the easy side. Only a few pose any real challenge, requiring a bit more thought than just simple platforming ability. But at least it doesn't alienate players new to the genre, while not being too easy for those looking for a challenge. Early in the game, your brother gets injured, requiring you to carry him throughout the levels. This adds an interesting mechanic to the puzzles, as carrying him hinders your movement. With him on your back, you move slower, and cannot jump as high. As such, to progress you must leave your brother behind, however he can only be put down in well-lit areas, which often put him in harm's way. Trying to solve these puzzles while keeping him alive can be a tricky task at times, but very rewarding when you succeed. On the platforming side of things, Monochroma does well, without really excelling. Some of the controls feel a little awkward, especially when ladders or ledges are involved. Climbing a ladder and jumping uses the same key, which can make jumping off a ladder, or even just jumping near a ladder infuriating, especially when trying to complete a puzzle where you're racing against time. On top of that, there is a frustrating delay after each jump or drop, or when picking up or putting down your brother. While it fits in with the slow tone of the game, it can be a bit annoying. This aside, the controls are very simple, and don't require remembering a long list of inputs to complete the game. Monochroma is absolutely stunning. 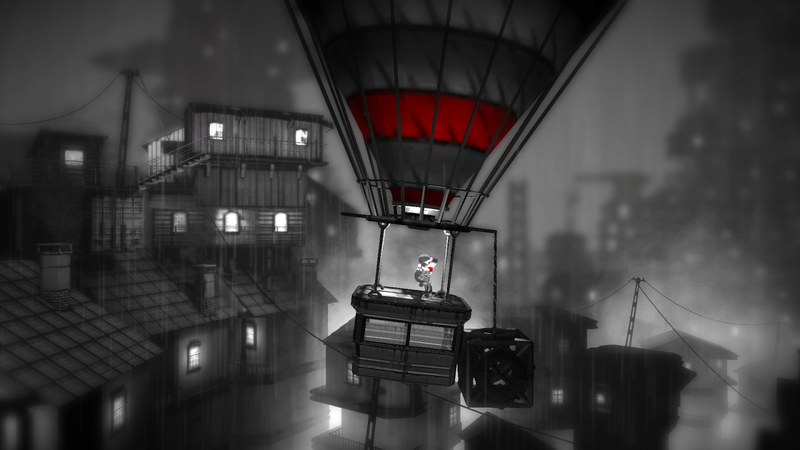 The game is mostly greyscale, with little bits of red here and there. This looks absolutely beautiful, and mixed with a very sombre soundtrack and minimal other sound effects, perfectly portrays the dystopian world the game is set in. The only real complaint is that the character models look a little off, but this is a very minor discrepancy in a game that looks as fantastic as this does. All in all, Monochroma deserved the funding it received. At only 6 hours, it is a little short with no real replayability outside of finding a few hidden flowers, but the puzzles are challenging and well designed, and it is one of the most aesthetically pleasing games to be released so far this year.